Hoarding is not about being lazy. neglectful or stubborn, but rather, it's a real, complex disorder. The process of de-junking and cleaning this type of home can be physically and emotionally draining for the hoarder and the family. People spend years growing attached to their stuff and even if it's an old corsage or maternity clothes that they will never wear, dropping these things into a dumpster makes them sad. When they de-clutter they are facing their past. Piece after piece causes a dream or project to resurface. The items have emotional messages attached to them. Projects they never finished and always hoped they would. It's like admitting failure over and over again. That's why Domestic Engineering trains our employees to treat the client like family. The process needs to be slow, patient, kind, and respectful. We are a guest in their home and we have a job to do- but we must tread lightly. We don't arrive in special trucks or wear special uniforms, the clients' privacy is of the utmost importance to us. We look like what we are - a family helping another family!  Domestic Engineering is family owned and operated since 1973 We have excellent references from Ramsey County, Shoreview,.House Calls and many other health and safety organizations. Domestic Engineering has assisted thousands of families to be to live in a safe and clean environment. Schar Ward is a competent and compassionate person that shows through all her work at Domestic Engineering. As the family services coordinator for House Calls I could confidently count on Schar and Domestic Engineering to provide my clients with confidential, compassionate and complete service. Due to the difficult scenarios the House Calls works with we have to have complete trust in the vendors that we refer to our clients. Schar and Domestic Engineering provides that trust.